Recommended when the vehicle does not have sufficient range to complete the journey and it is necessary to charge vehicles during travel. 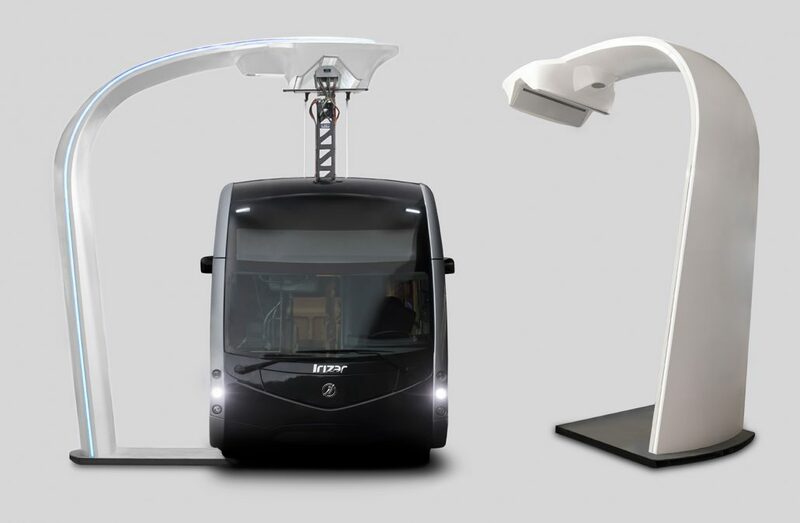 The charging stations are located at strategic points throughout the cities, at the end or start of each line, in order to charge or supply several buses or lines. 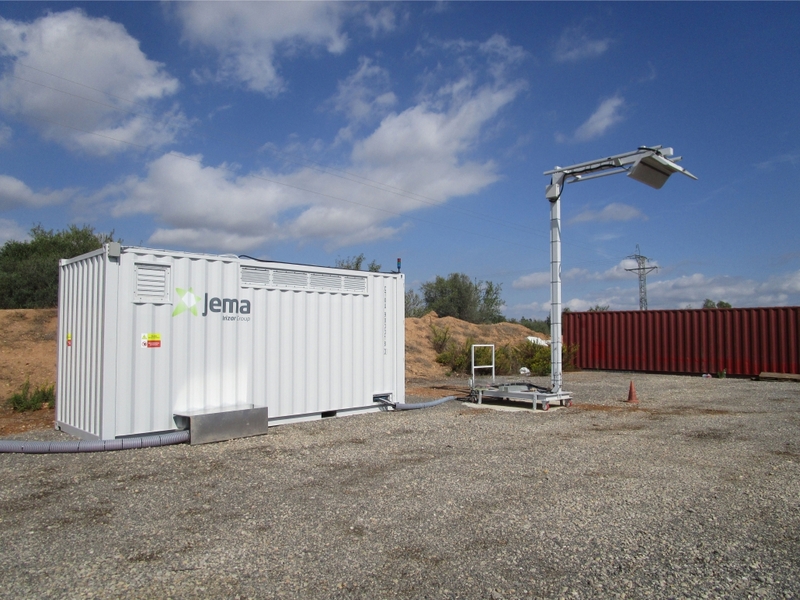 This type of charger uses the time at the first or last stop on the line to charge batteries up to 90% in few minutes (typically 5 minutes). 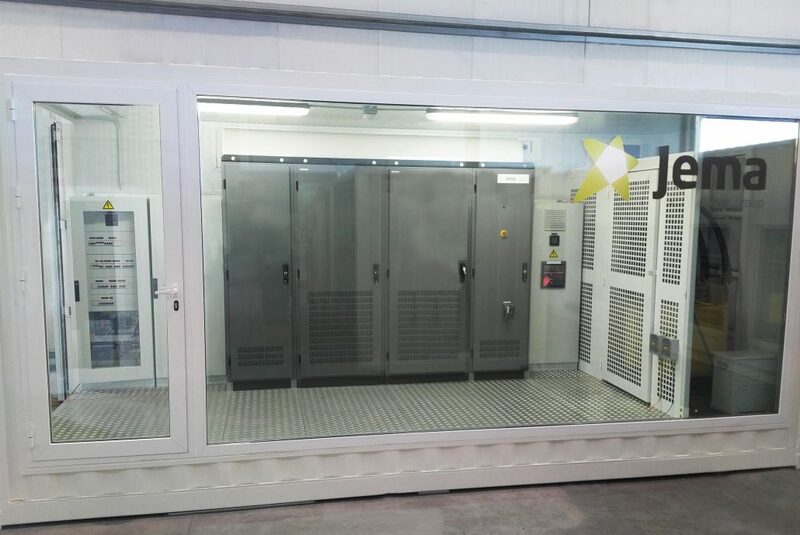 Jema offer solutions up to 600 kW of power. All the chargers are bi-directional which makes G2V and V2G energy flow possible. Charging is done in accordance with the ISO 15118 standard. 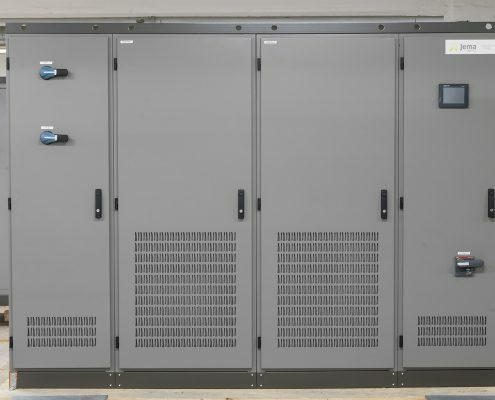 Like the in-depot chargers, they have remote access to all data with the Modbus TCP/IP or OCPP 1.6 protocols. The connection with the vehicle is made using a 4 or 5 pole pantograph. 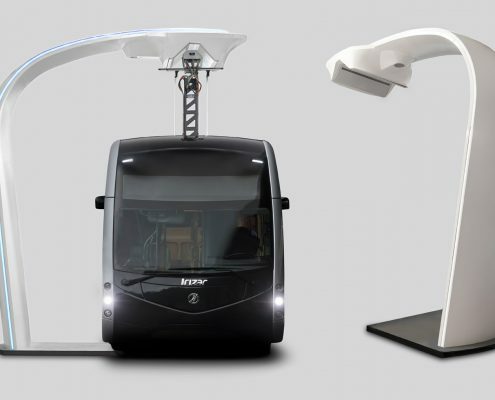 The system includes the automatic pantograph contact, contact plates and the infrastructure equipment that automatically connects the vehicle to the pantograph. 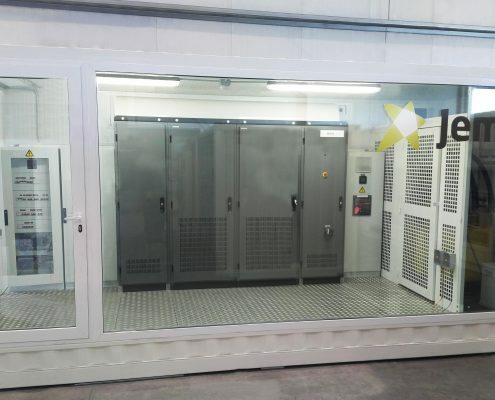 In addition to being able to place charging stations at strategic points in cities, it also offers the possibility to completely automate slow charging in depots by installing and commissioning vaulted contact structures above the parking spaces. Jema can also provide the entire turnkey system for installing opportunity chargers connected to the medium voltage grid with the certificates required by electrical operators. The IP protection of the chargers is IP20, which means they can only be used indoors. 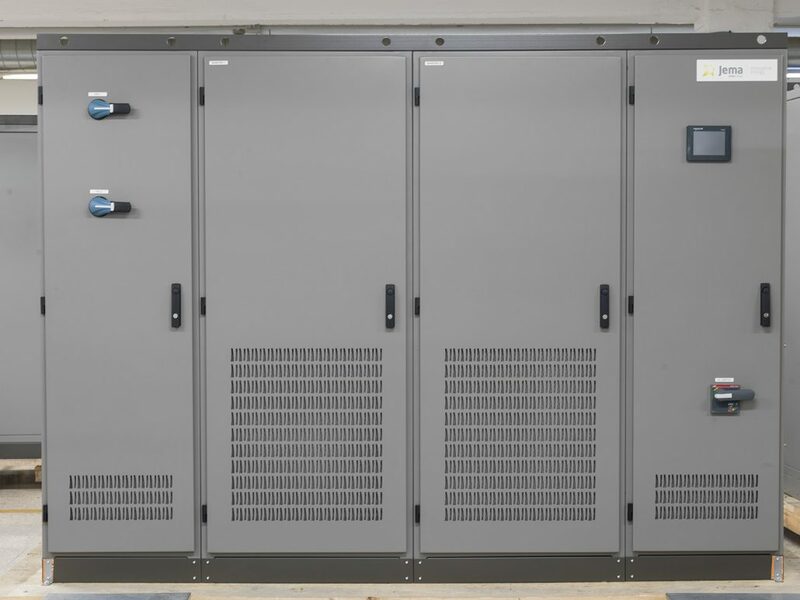 With turnkey solutions, chargers and medium voltage connections can be grouped in pre-fabricated containers or sheds so they can be installed outdoors.